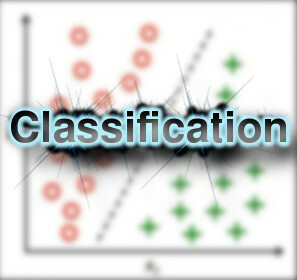 Classification is one of the fundamental concepts and widely used areas of machine learning. With classifiers, we learn a model that takes the input and predicts a class for output, which can be considered as labels or categories. In other words it’s a mapping from x to y. For this part, we use a sentiment classifier that receives a review sentence as input and classifies it as a positive or negative sentence. Other examples for our classifier would be a spam or not spam classification, where it receives an email as the input and predicts the probability that the email is Spam or Not Spam as the output. 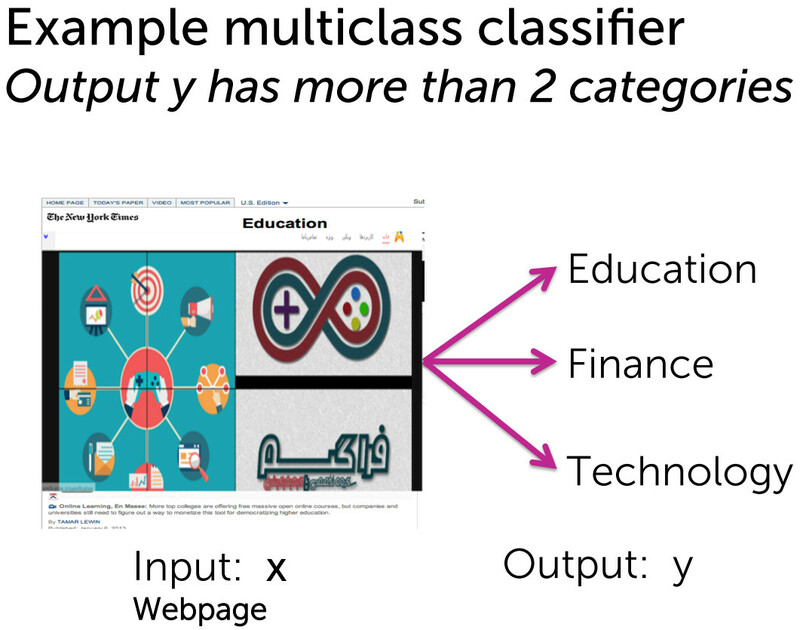 But classification is not just binary, it can be about predicting multiple classes or categories. for example you want to show some ads on a web page and would like to know what kind of ads you have to put on this page. 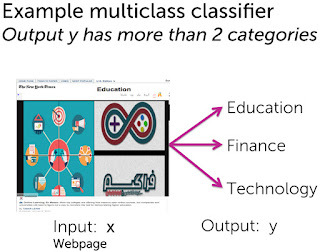 In this example, our classifier receives a web page as input and categorizes it as a web page about education, finance, technology, …. As we mentioned earlier, another great example of classifiers are spam filters, where a classifier categorizes an email based on not only text of the email, but also on IP address of the sender, other emails that this sender has already sent, receivers and so on. 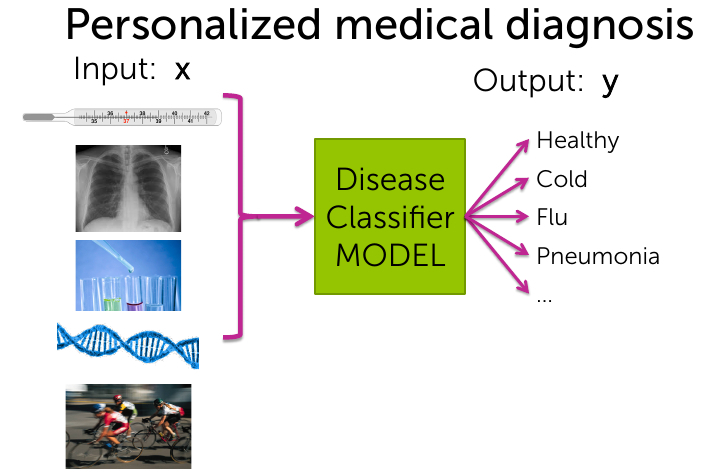 Personalized medical diagnosis is an example in this area, where patients are not treated as they are in the same conditions. 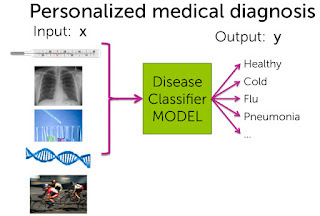 Because everybody has different lifestyle, DNA sequence, conditions and so on and taking into account those information make a lot of differences when predicting a patient’s condition and the kind of treatment that is personalized and the most effective for her or him. Literally the classification is the core of every technology that we are using nowadays, whether it’s the spam filtering, search engine results, product recommendation, ads shown, personalized medical treatment and so on. Now to make you understand the classification concept better, I provide you a real and useful application in my next post, which is An intelligent restaurant review system!